Angel with Wings Around Holy Family Hanging Ornament from Jim Shore Heartwood Creek Collection. Made of Stone Resin. 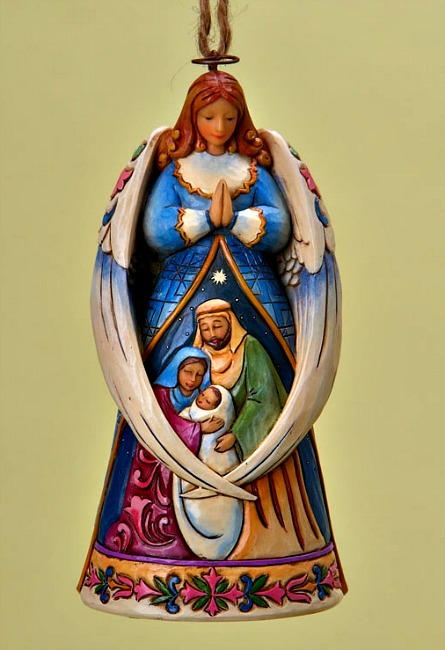 Measures 4.75" H.
A magnificent angel designed with the Holy Family. A best-selling figurine now in an ornament. ©2019 Welcome. All rights reserved.